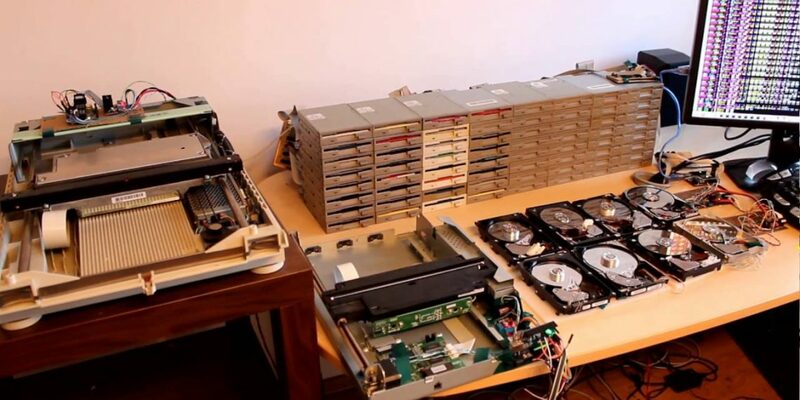 The Internet has seen obsolete disk drives play tunes from Star Wars before – but not like this. Hacker Paweł Zadrożniak of Poland has outdone himself with a maximalist rendition of John Williams’ iconic music. Just how big is it?